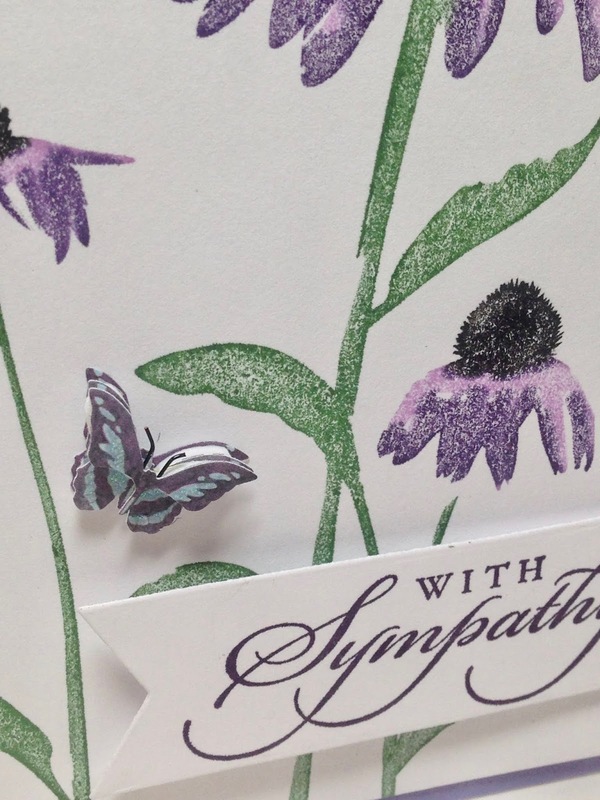 Unfortunately, I had to make a sympathy card a few weeks ago. Every paper crafter always says these are the hardest and most difficult to make. 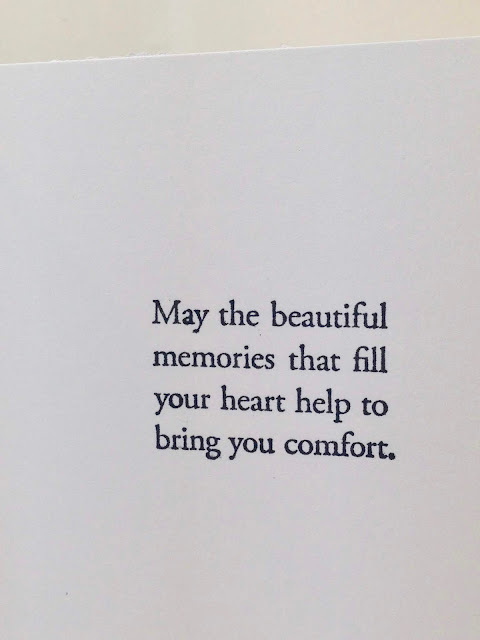 But, as I make the card, they do give me time to pray for the person who suffered the loss and to once again contemplate the meaning of life and how short life is. 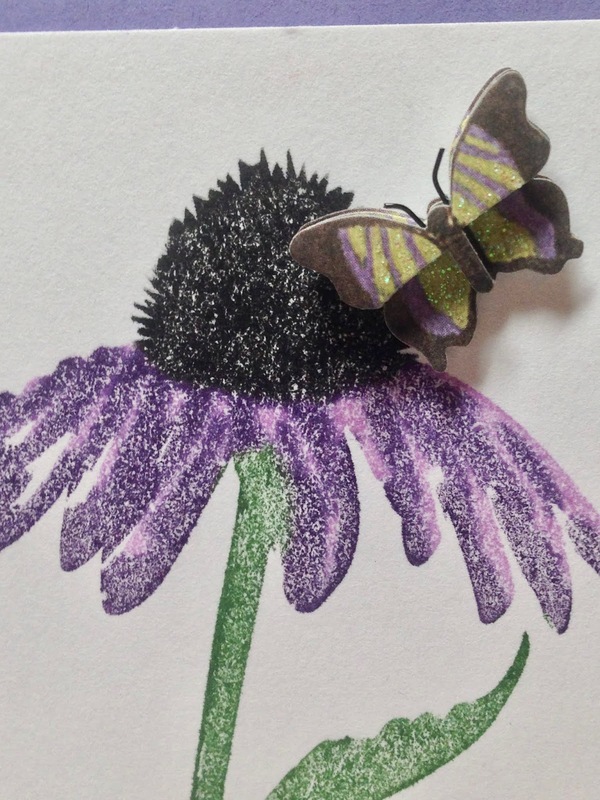 To make this card, I used two old retired Stampin' Up! sets and a package of K&Co butterfly stickers. The purple coneflowers were from the set "Inspired by Nature". This is not an outline stamp, which makes it a super easy stamp to work with. You just color straight on the stamp with colored water based markers, then blow on it to re moisten the ink, then stamp. Super easy, super quick. I attached two of the smallest 3D butterflies in the package to the card. I placed one on the tip of the flower and the other lower on the card. I cut a sentiment tag using MFT banner dies and popped it up on dimensionals. 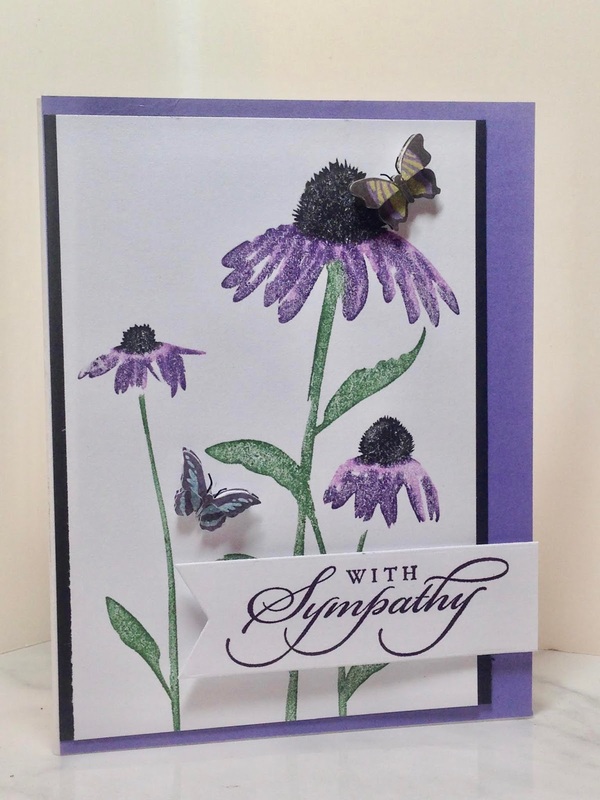 The front and inside sentiments are from Stampin' Up! "Brighter Tomorrow". Here is the sticker sheet I used. It's very old so I'm sure it's not longer available, but I'm sure you can find something similar in any craft store. The coneflowers are a very large stamp and took up most of the space of the card, so all I had to do was border the main image panel with black card stock and then put the entire card front on a purple card. Thanks Ellie! 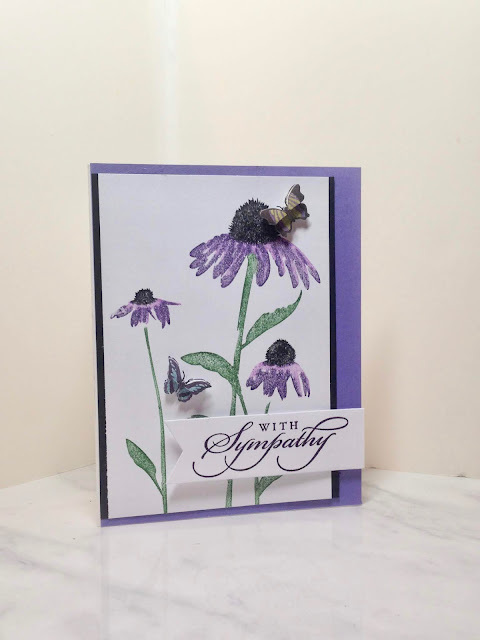 It's actually kind of therapeutic to make a sympathy card than just going to the store and buying one, isn't it? That is beautiful! I always find it hard to make sympathy cards and yet I do love how serene they turn out. I always hope they make the recipient feel just a little bit better. Pinned. thank you. Yes, they are so hard to make, but very therapeutic too!